Keep your ears warm and toasty in My Little Pony: Friendship is Magic style with the My Little Pony Friendship is Magic Rainbow Dash Laplander Hat. Perfect to show off your love of My Little Pony! 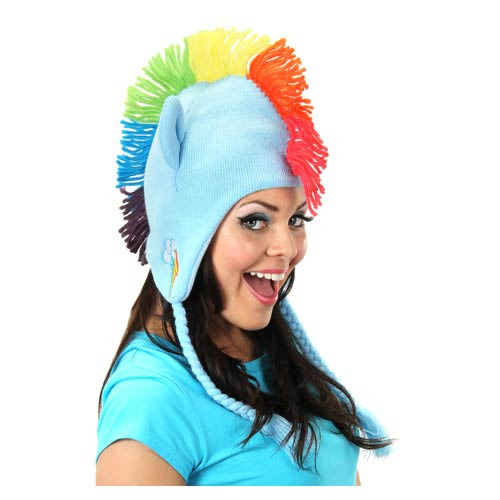 The My Little Pony Friendship is Magic Rainbow Dash Laplander Hat is one-size fits most. Ages 3 and up.